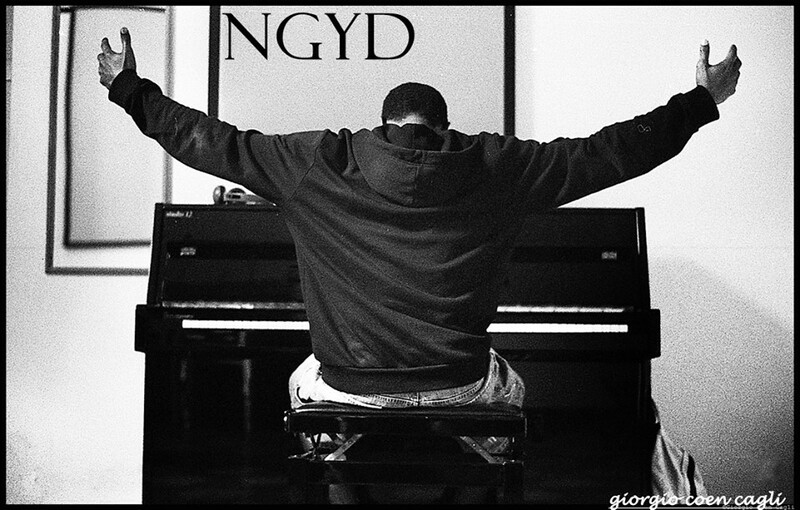 Alton D* Terry è un pianista/compositore autodidatta Statunitense (Florida) ed è il fondatore di Never.Give up.Your.Dreams (NGYD). Never.Give-up.Your.Dreams (NGYD) is the vehicle that contains the music, illustrations, texts and other art forms that help to tell a story of some experience by which we have been touched. It is a vessel of inspiration. It is the multiple perceptions of life that allows us to understand a world beyond our own. It is the hope that one day, our lives will be an inspiration to others. It is our language. It is our story. It is our heart. It is our dream. A dream on which we will never give up. It is Us. NGYD (Never.Giveup.Your.Dreams.) is about using art to make a positive difference in the world. Our aim is to collaborate with the members/artists of a community to engage in artistic efforts to support, maintain and bring awareness to a cause that is specific to that community. Simply put, we find a cause that we would like to contribute to, go to the location of the chosen cause and work in concert with the community to benefit the chosen cause. 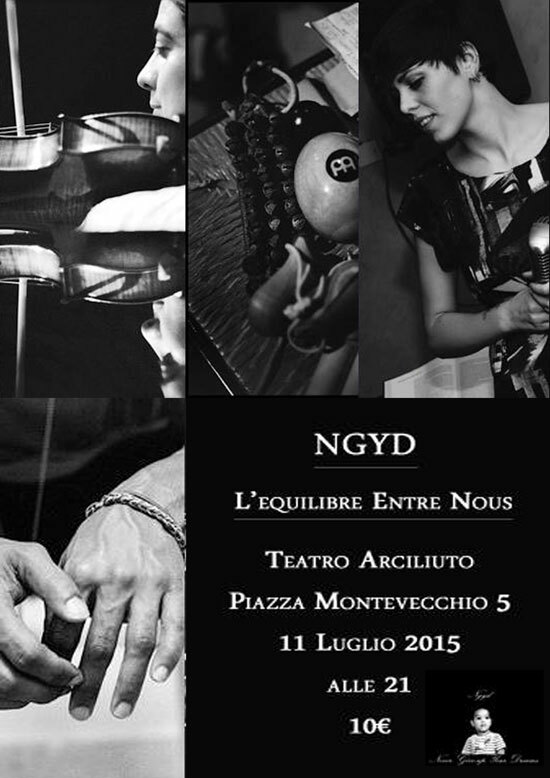 This project is called, NGYD: A Reference Point of Hope. And this year, we will focus our efforts on the Education of Immigrants in Rome. I’ve met several people that are skilled and very knowledgeable in various trades but can’t compete for work due to their lack the cultural and linguistic knowledge. To help improve this situation we will work in concert with local organizations to maximize awareness in order to help improve their existing services by helping to provide these organizations with the necessary resources to help those in need, through means of a benefit concert which is set to take place at the end of 2014. Questa voce è stata pubblicata il 10 luglio 2015 da Redazione in 11 luglio, Anno 2015, Luglio, Sabato Sera con tag L'EQUILIBRE ENTRE NOUS, NGYD, Teatro Arciliuto.